For top-tier electronic repairs, count on our team at Sperry Repair. Our TV experts in Lincoln, NE can handle all kinds of electronics. We'll solve your problem in no time. Protect your investment with help of factory-certified technicians. We can repair most brands and products in and our of warranty. We get the job done right the first time. Our team has an 94% success rate for in-home service repairs. Call today for excellent service! We specialize in projection TVs. At Sperry TV, we have highly trained specialists that can repair your projection TV in the comfort of your own home. Projection TVs are quite complex and require your attention. Since they have coolant fluid in the color tubes, they need to be checked if there is a problem. If the coolant fluid leaks into the electronic boards, this can cause severe problems. Therefore, it pays to have your projection TV serviced by the best. We service all direct view TVs regardless of size. Your direct view TV will get the best care with us. We've been doing this for over 50 years so we know what makes it tick. If your direct view TV is too large to carry, give us a call and we'll visit your home. We service anything that makes noise: high-end rack component surround sound audio receivers, MP3 players, Mini Disc players, car audio, speakers, powered sub-woofers, tweeters, and mid-ranges. We repair all major brands of audio equipment. We service all major brands of camcorders: JVC, Sony, RCA, and more. No matter what format it uses, your camcorder is in good hands with us. 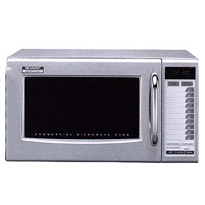 We service commercial and residential microwaves. Over the Range and countertop microwave ovens are our specialty. LG, Samsung, GE, Panasonic, Amana or Sharp, factory authorized for in and out of warranty repairs. We also service a variety of electronics devices. Count on the finest technicians in town to fix your electronics. We have the right tools and knowledge to properly repair your electronics. Call us at (402) 464-9181 for more information.